SPRING PASSES NOW ON SALE! UNLIMITED SKIING & RIDING UNTIL MAY 20, 2019! Untracked & Off the charts! Rock out in the Rockies with our Untracked Concert Series, presented by Coors Light! EXCLUSIVE OFFER FOR SUPER CARD AND SEASON PASS HOLDERS! Stay two or more nights and SAVE 25% OFF each night at Sunshine Mountain Lodge. 1 PASS, 38 ICONIC DESTINATIONS, ADVENTURE STARTS NOW. The Mountain Collective is back on sale for the 19/20 season! Don’t miss out on 32 days of skiing and riding at 16 dream destinations across the globe. 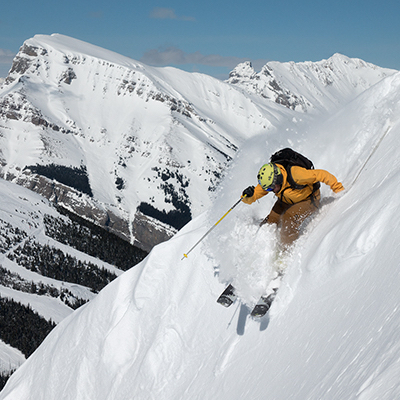 Banff Sunshine Village, famous for Canada's Best Snow and three mountains off diverse terrain. At Sunshine we're proud to feature runs ranging from easy greens to the hardest double blacks. At Sunshine you'll find terrain for the whole family to enjoy. Wake up to Canada's Best Snow at Banff's only ski-in, ski-out hotel. Our Sunshine Mountain Lodge, is your mountain oasis. Enjoy the comfort of our boutique hotel and the convenience of waking up to Canada's Best Mountain Terrain. Free Sunshine Selfies from Wawa. Your Sunshine Selfies are now available online! Coming from Banff? We have a new Bus Schedule!